Will more police adopt body cameras? It is getting more and more likely that your next conversation with a police officer will be recorded on a camera. And not just any camera -- an official, department-issued one on the officer's glasses, collar or lapel. Several makers of police body cameras say their orders have grown in recent months, particularly since a police officer in Ferguson, Mo., shot 18-year-old Michael Brown. A grand jury decided Monday there is not enough evidence to charge the officer, Darren Wilson, with a crime. Taser (TASR), best known for the line of stun guns bearing its name, said sales of its body cameras were up 30% in the third quarter, which included the Aug. 9 shooting of Brown. Last week, the company said the San Francisco police department had ordered 160 cameras. The Los Angeles police department recently decided it would arm officers with Taser-brand cameras as well. In all, over 1,200 police agencies are now using Taser cameras, said Sydney Siegmeth, and the company has sold over 100,000 of them, including cameras mounted on the stun guns themselves. Similarly, Digital Ally (DGLY) said inquiries about its on-body cameras have increased six- or seven-fold, and sales are up three or four times the average. "What we've seen is a tremendous amount of increased interest in the body cameras, and now in the fourth quarter we're seeing that interest turn into orders," CEO Stanton Ross told CNNMoney. 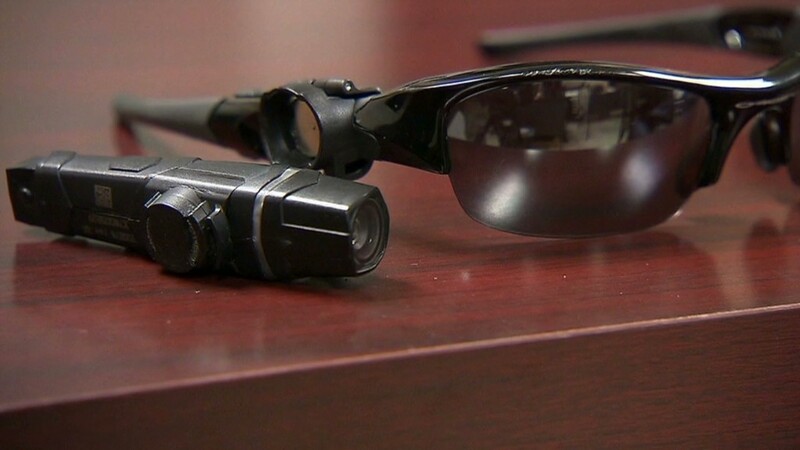 In deciding whether to use such cameras, departments have a lot to consider, such as objections from some police unions and privacy concerns from groups like the American Civil Liberties Union. There's also the cost. Several camera models cost at least $500 apiece, and storing all that footage can cost upwards of $20,000 per year. Plus, purchases like these must be budgeted in advance. But there are benefits, too. "There's no cost to replacing an officer, but if we can have a [body] camera that shows a point of view other than the in-car camera that helps us in a lawsuit, this is a big savings," said Lt. Bryan Hunter of the Byron Police Department in Georgia. He tested a system that uses Google Glass -- probably the best-known wearable camera -- to automatically upload the hours of footage. The body cameras help resolve complaints about officer conduct and assist prosecutors, he said. And someday, they might be just as prevalent and accepted as dash-cams. "When I started doing this 25 years ago, video cameras just started showing up in patrol cars," said Hunter. "It's just part of everyday life now."